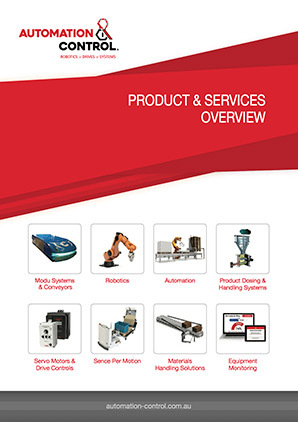 Automation & Control are an Australian distributor for Rotec Engineering Robotic Fueling System. 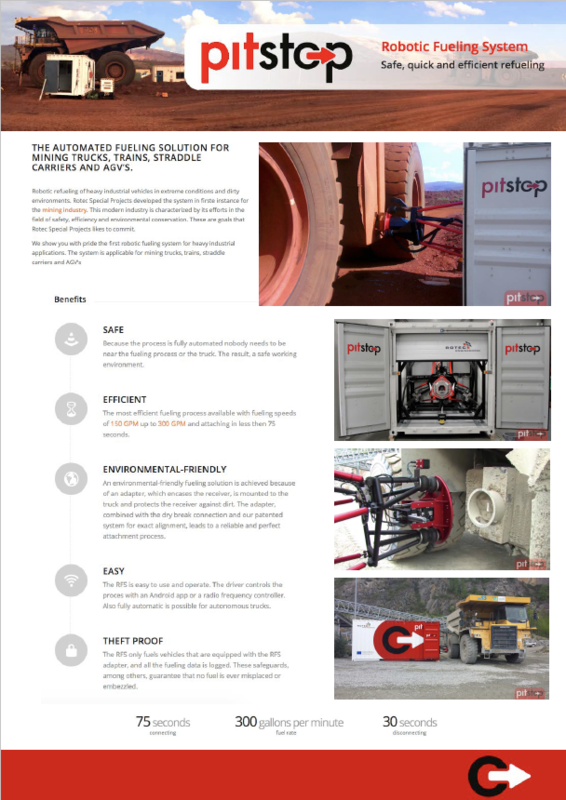 AUTOMATED FUELING SOLUTION FOR MINING TRUCKS, TRAINS, STRADDLE CARRIERS & AGV’S. 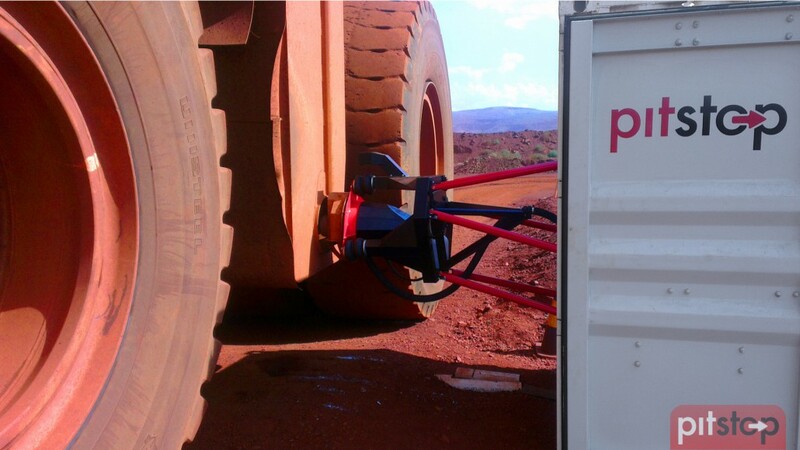 Robotic refuelling of heavy industrial vehicles in extreme conditions and dirty environments. Rotec Special Projects developed the system in the first instance for the mining industry. This modern industry is characterized by its efforts in the field of safety, efficiency and environmental conservation. SAFE - Because the process is fully automated nobody needs to be near the fueling process or the truck. The result, a safe working environment. EFFICIENT - The most efficient fueling process available with fueling speeds of 150 GPM up to 300 GPM and attaching in less than 75 seconds. ENVIRONMENTAL-FRIENDLY - An environmental-friendly fueling solution is achieved because of an adapter, which encases the receiver, is mounted to the truck and protects the receiver against dirt. The adapter, combined with the dry break connection and our patented system for exact alignment, leads to a reliable and perfect attachment process. EASY - The RFS is easy to use and operate. The driver controls the process with an Android app or a radio frequency controller. Also fully automatic is possible for autonomous trucks. THEFT PROOF - The RFS only fuels vehicles that are equipped with the RFS adapter, and all the fueling data is logged. These safeguards, among others, guarantee that no fuel is ever misplaced or embezzled.